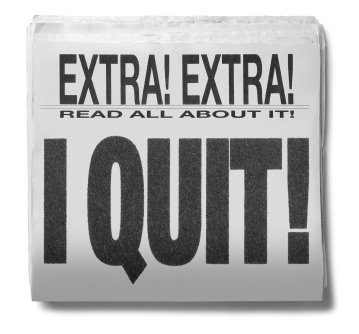 What if you feel like quitting? One of the things I check regularly is the section that tells me what search terms are referring readers to my blog. In other words, if someone types “idolatry” or “grace” into Google, I want to know that they made it to my blog. So last night I was looking at the incoming search terms, and one of them stood out. Someone did a Google search for “what to do when you feel like turning away from Christianity.” I have mixed emotions about that search. I’m both happy and sad that person is thinking those thoughts, asking questions, wondering if what they’ve been told about God is all there really is. That’s the purpose of this blog. 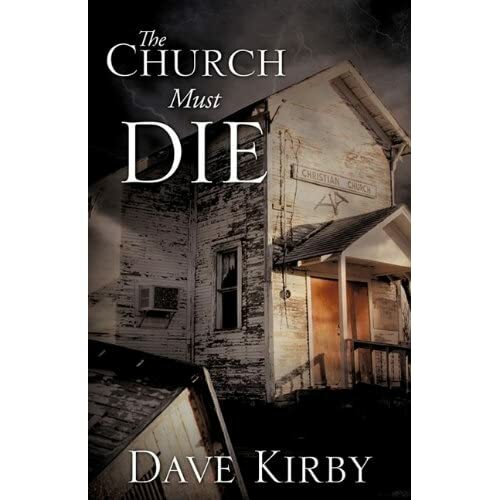 It’s the purpose of my book “The Church Must Die.” I want people to think about what they believe, and why. I want to speak to those who are fed up with what they feel is a bloated, ineffective, irrelevant modern church. I want them to realize there is so much more to Jesus Christ than what we’ve made Him out to be. I want the disillusioned, the discouraged, the downtrodden to realize there is something more. I hope they can read these words and begin to grasp the enormity of God’s grace, a grace that goes beyond rules and regulations and dogma. I hope they will understand there is a place of safety and love within the true body of Christ, the remnant of those who are willing to love like Jesus loves. I hope they will find true meaning in giving their lives for a God who gave His life for them. It’s okay if you feel like “quitting Christianity.” The religion we’ve built on the name of Jesus is something He never intended. It’s okay if what you see today seems like a sad reflection of the majesty of Almighty God. Look away from man and look to Him. Don’t judge Jesus by how I act, how Christians act, or even how you act. Judge Him on His own merits, they are more than sufficient. Come to think of it, maybe it’s time we all quit Christianity and just started following Jesus. This entry was posted on June 7, 2011, 7:00 AM and is filed under Challenge, Encouragement, Uncategorized. You can follow any responses to this entry through RSS 2.0. You can leave a response, or trackback from your own site. 1. Religion, in its most comprehensive sense, includes a belief in the being and perfections of God, in the revelation of his will to man, in man’s obligation to obey his commands, in a state of reward and punishment, and in man’s accountableness to God; and also true godliness or piety of life, with the practice of all moral duties. It therefore comprehends theology, as a system of doctrines or principles, as well as practical piety; for the practice of moral duties without a belief in a divine lawgiver, and without reference to his will or commands, is not religion. Let us with caution indulge the supposition, that morality can be maintained without religion. 4. Any system of faith and worship. In this sense, religion comprehends the belief and worship of pagans and Mohammedans, as well as of christians; any religion consisting in the belief of a superior power or powers governing the world, and in the worship of such power or powers. Thus we speak of the religion of the Turks, of the Hindoos, of the Indians, &c. as well as of the christian religion. We speak of false religion, as well as of true religion. 5. The rites of religion; in the plural. I’ve got absolutely no problem with Webster’s definition–religion is (are) the components of my faith and I will not summarily toss the word aside because it has been perverted and redefined through the years. Unfortunately perception is reality. As a guy who has spent his whole life in the communications business, I understand the importance of communicating in a way that people understand. If a word like “religion” conjures up preconceptions in people’s minds, then I won’t use it. I don’t care how it was defined in 1828, what matters to me is what people perceive when I use it today. Today the word is cloaked with images of rules and regulations, dogma, judgment and condemnation. I understand redeeming the word by practicing it in its truest form, but that doesn’t happen overnight. Ultimately, I don’t believe following Christ was ever intended to become a religion. God already had a codified religion in Judaism and the Torah. If religion was the point, He could have just reformed Judaism. If the religion was able to save man, to restore relationship with God, it could have been accomplished by keeping the law. Jesus death fulfilled the law and released us from religious obligation. Our faith in Christ now justifies us, not our assent to a creed or code of law. Godliness is not achieved by practicing moral duties, keeping codes of conduct, or even assent to correct doctrine. Godliness is achieved through faith in Christ, period. All piety, godliness, and theology must flow from that point.